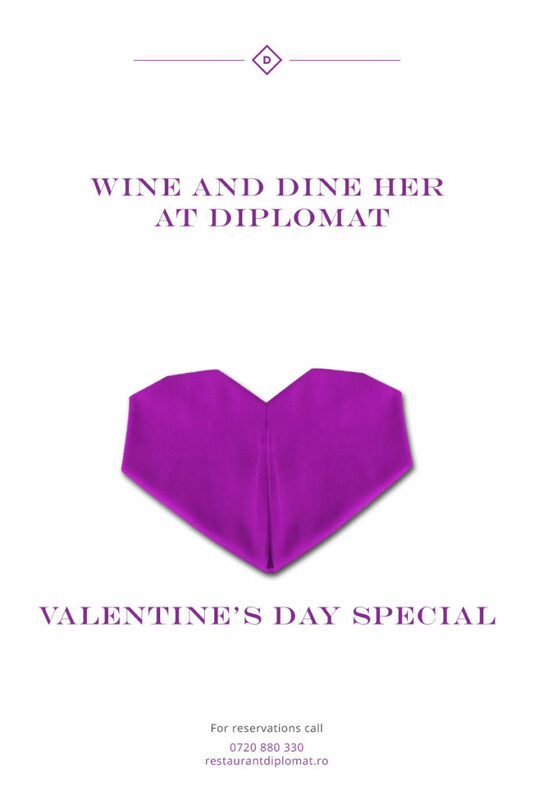 Wine and dine her at Diplomat. Please allow us to pamper you with exquisite dishes and a perfect wine, selected from our unique cellar. Live Music all evening by Viorica Pintilie.